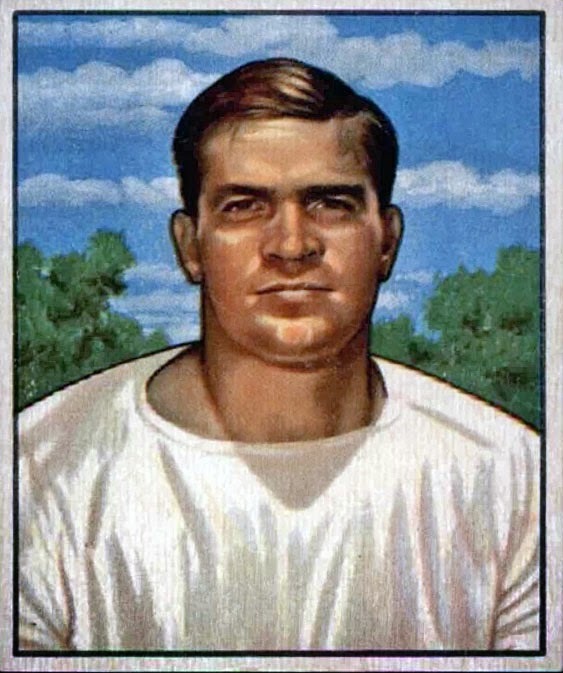 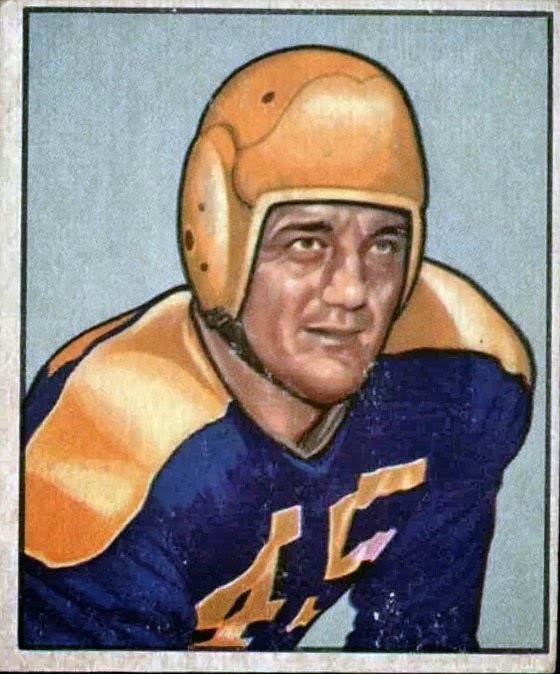 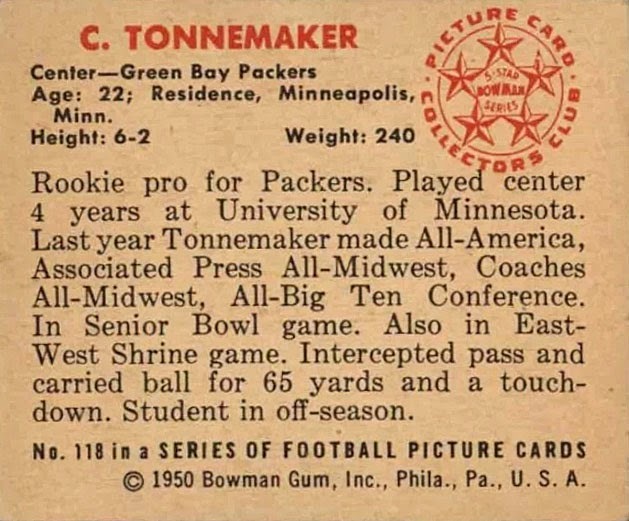 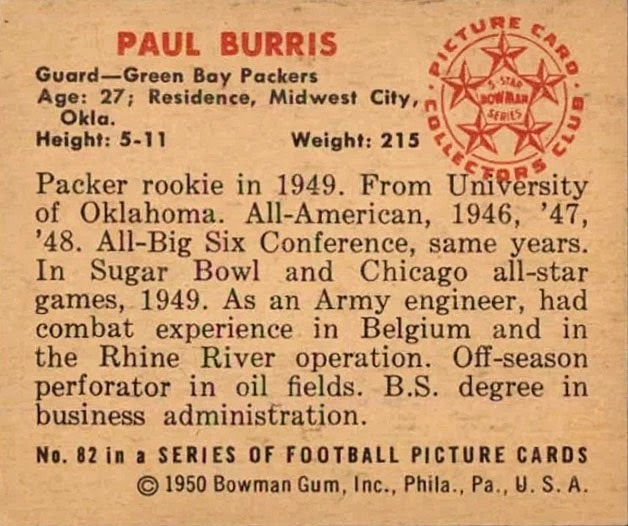 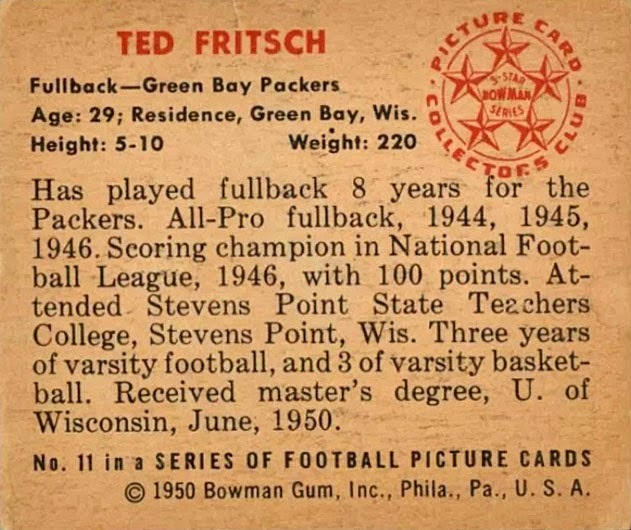 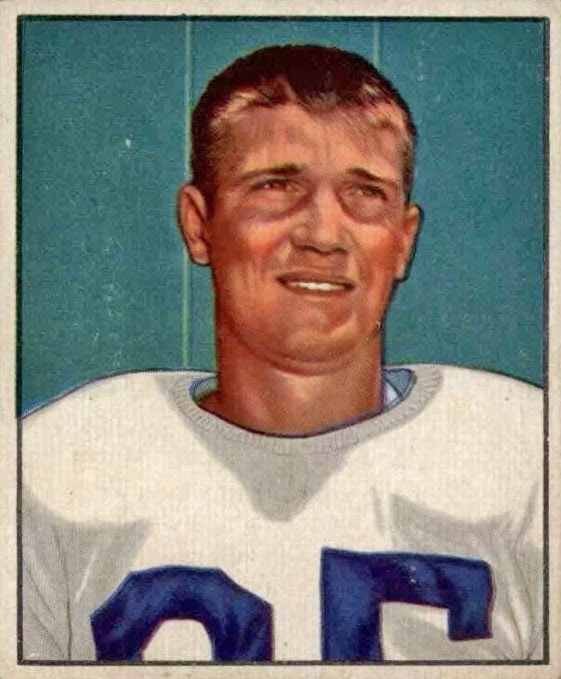 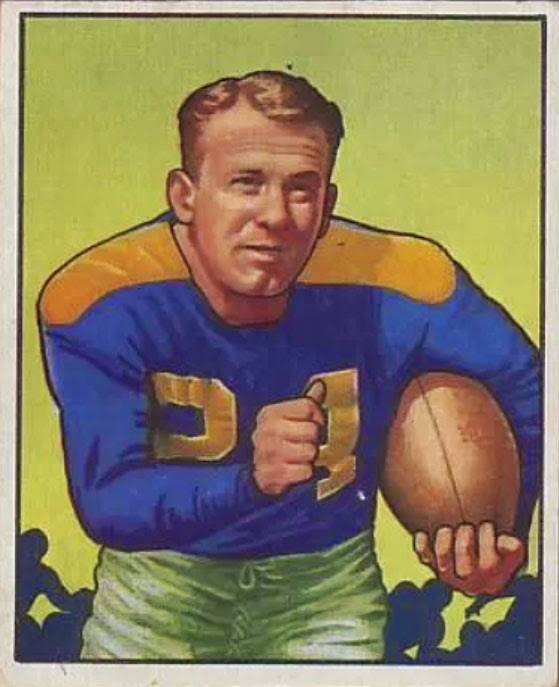 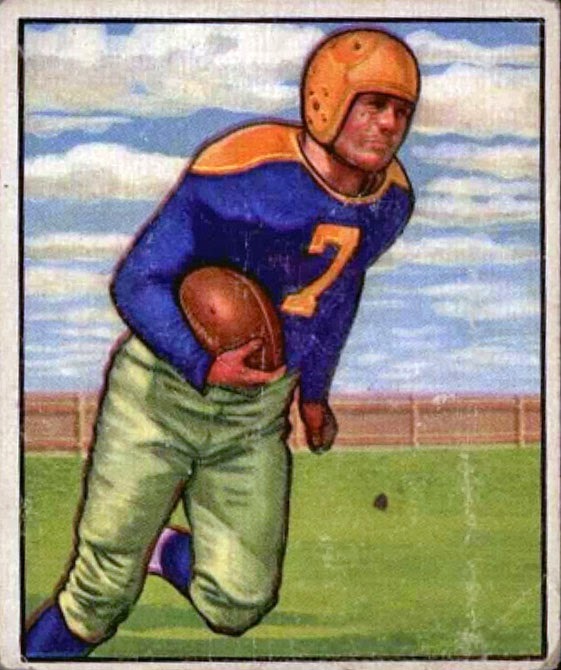 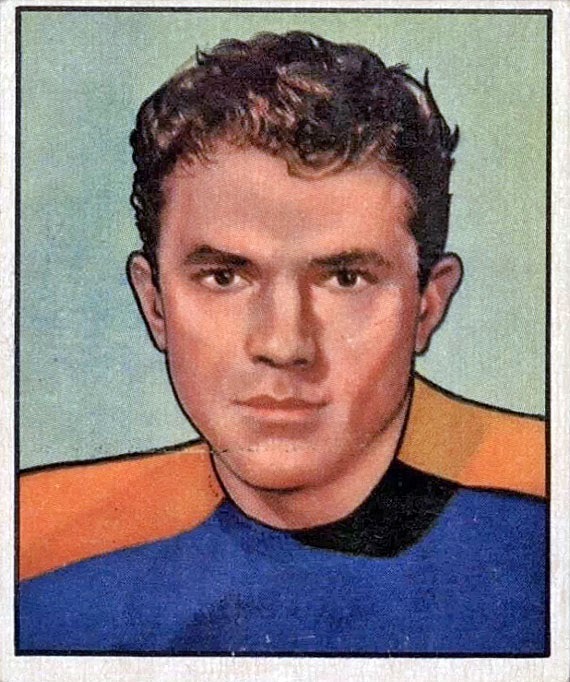 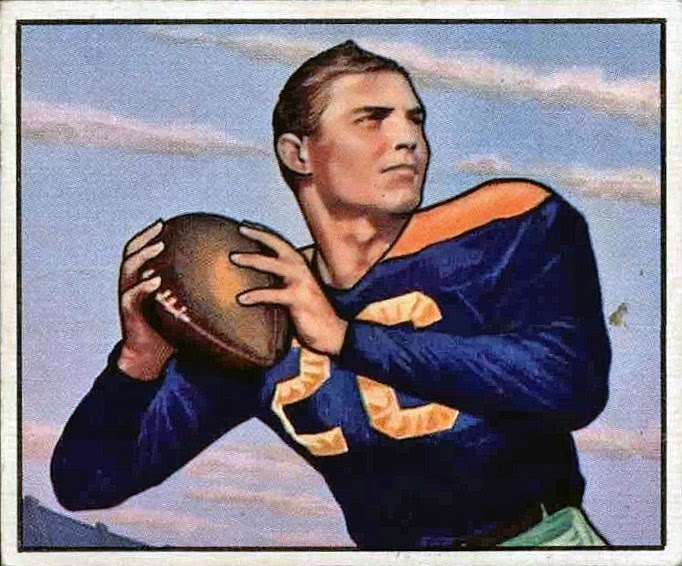 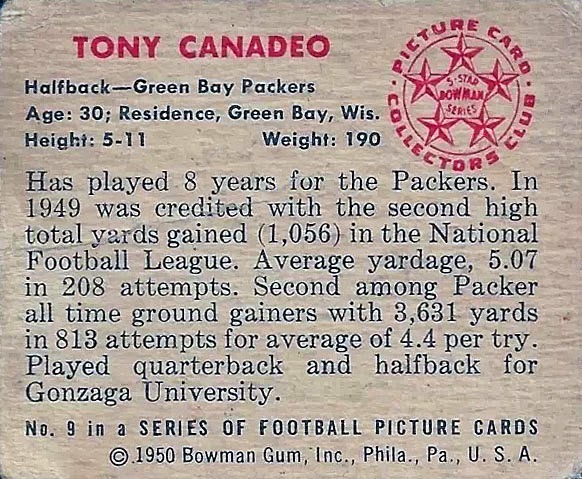 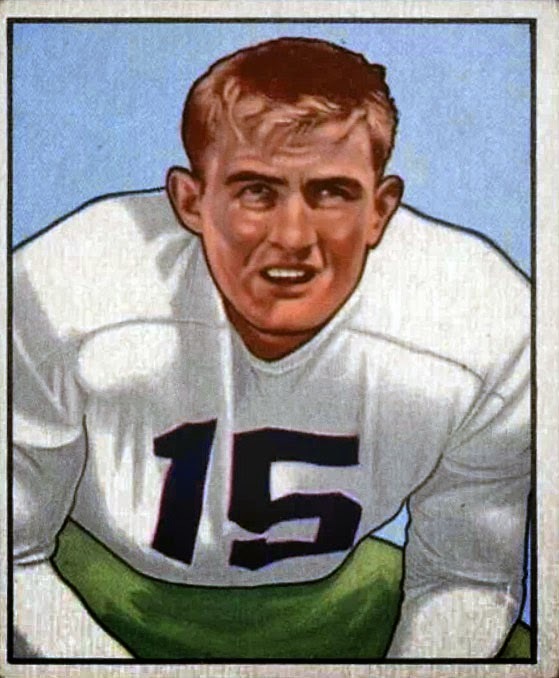 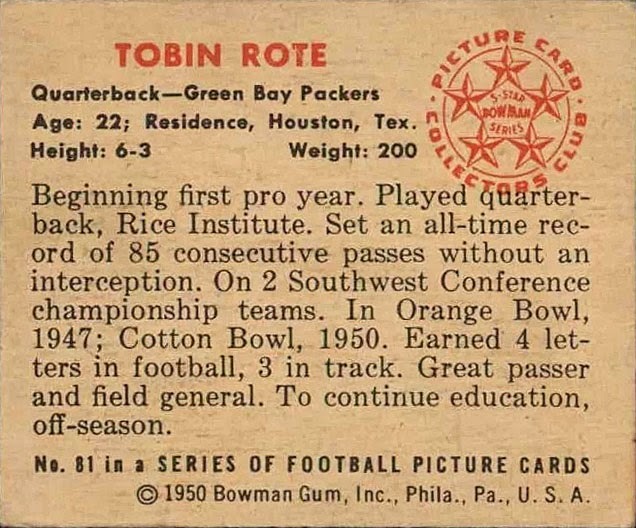 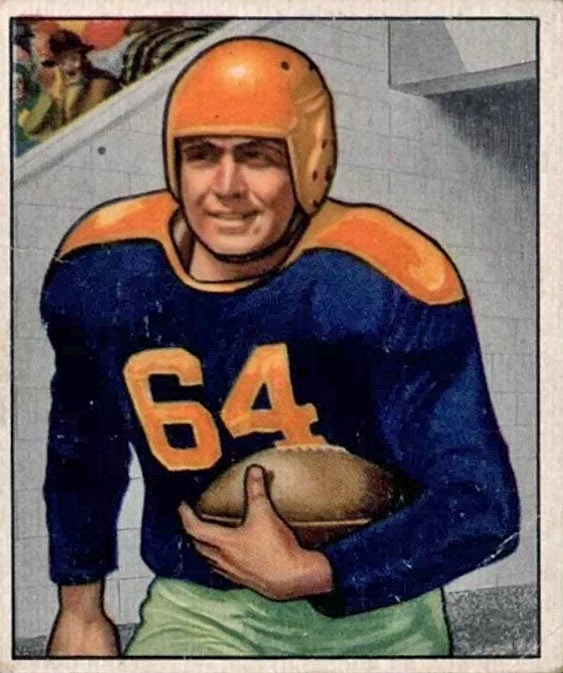 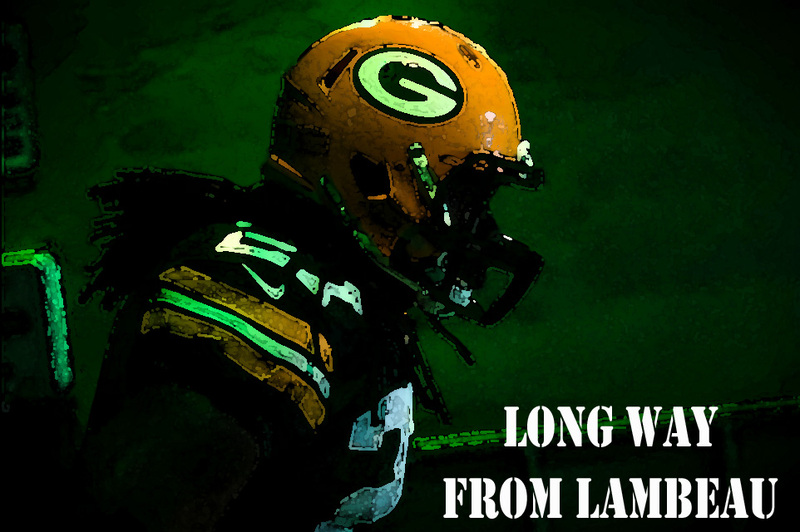 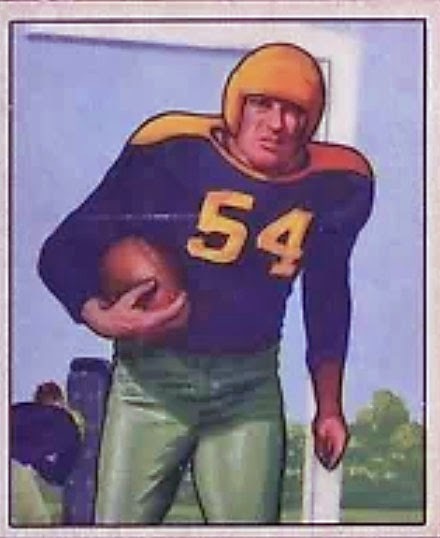 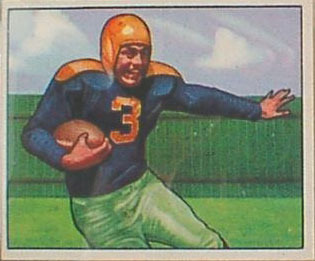 One of my goals this year is to link every football set and Packers checklist to it's own post with a checklist and image gallery with as many card images as I can find. 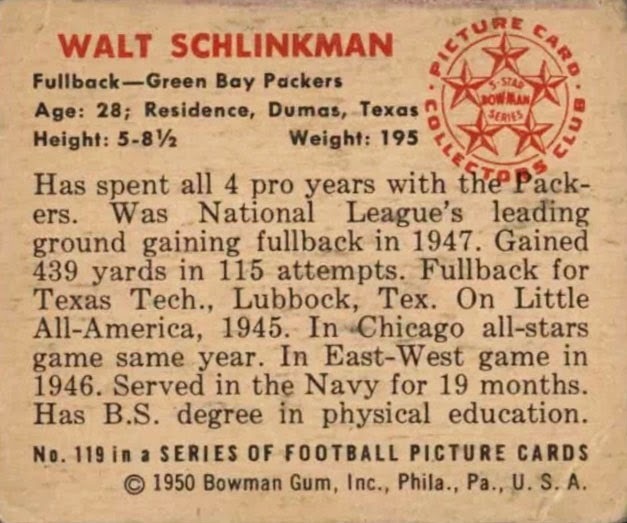 So lets start way, way back with the 1950 Bowman set. 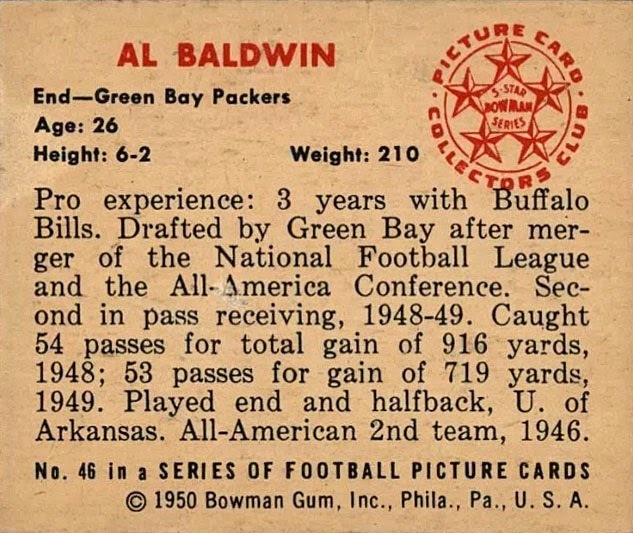 A beautiful set of smaller cards. 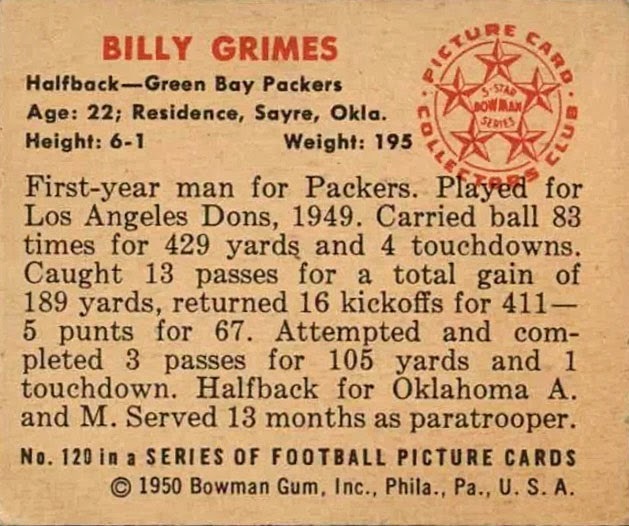 I love the write ups on the back and since this set came out only a few years after WWII ended there's usually a blurb on military service. 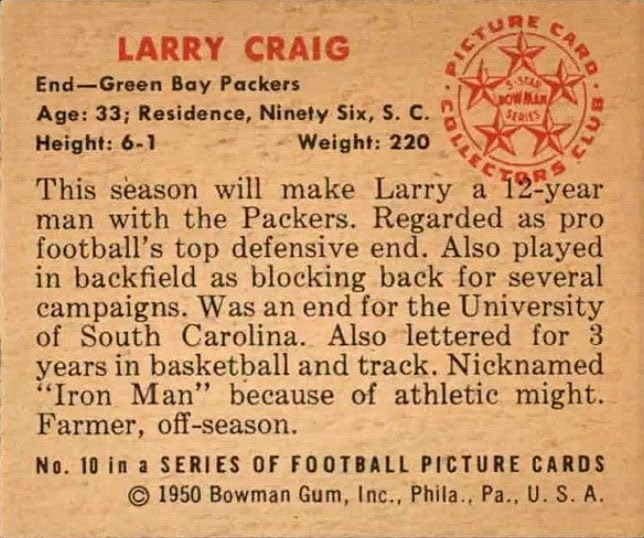 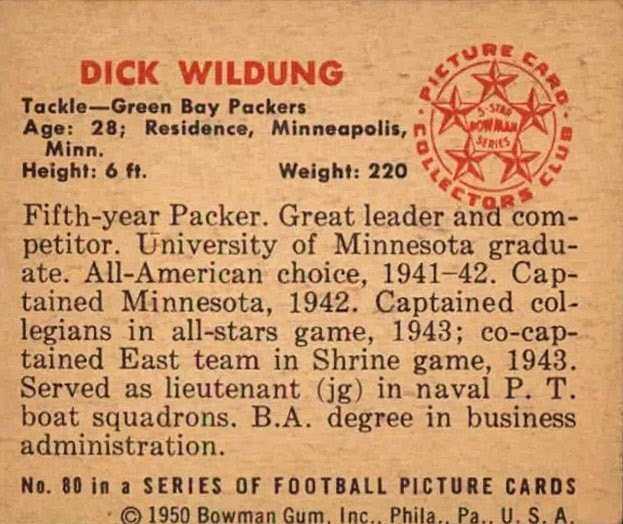 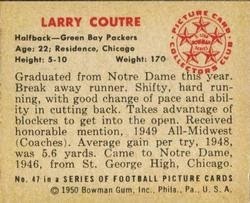 I don't currently have any of these cards in my personal collection, but I would love to one day put the Packers team set together.